You can get buses to most parts of Lagos and Ogun state at Iyana Ipaja. There are also many interstate transport companies with parks there. A lot of people working in Ikeja stay in Alimosho and a lot of them pass through Iyana-Ipaja to and from work. At the end of the Lagos boundary into Ogun state is Sango which is another major bus stop which is actually in Ogun state but feels more like Lagos. Many development experts regard such boundary areas as Sango as part of Lagos Metropolis which has extended beyond Lagos State. 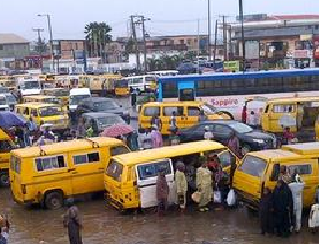 Being a central location to such major bus stops and heavily populated areas means Iyana Ipaja continues to expand and requires better infrastructure to service it. It is already a major hub for the Bus Rapid Transit (BRT) service but the roads around the area need rehabilitation and expansion. It is definitely a part of Lagos that serves as an artery for millions of people in Lagos to commute to and from work and like every major bus stop in Lagos, it is a market with clothing items, food stuff and other consumables for sale. If you have to visit Abeokuta or parts of Alimosho while in Lagos, catch the sights and sounds of Iyana Ipaja, it could get your Adrenaline pumping because it has the hustle and bustle Lagos is renowned for not to mention the traffic jam.